This next New Band To Burn One To is from Croatia and plays some cool desert rock mixed with some metal and hard rock. Their influences include Clutch, Kyuss, Pearl Jam, Alice in chains and Tool. 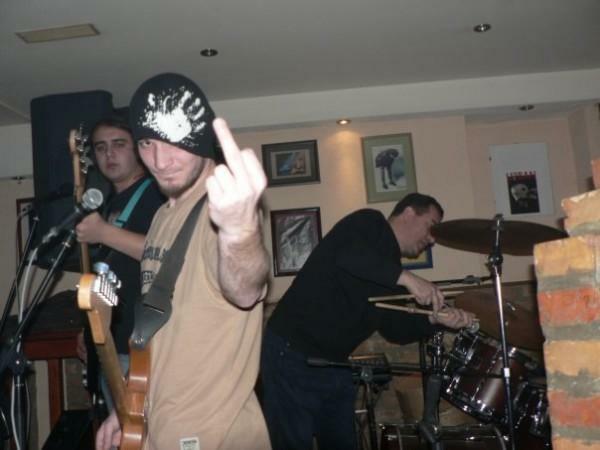 A band was formed in 2004. by few enthusiastic young musicians Jura-guitars, Pavel- Drums and Čeki - bass . First set of the band was with other bass guitar player, Igor Čeki and female vocalist, Katarina. Not so long after she came, she leaves the band, because of inappropriate behavior. Without Katarina, band starts to work on their own stuff, and guitar player- Jura is forced to sing. In March 2006., band is recording their first song called "Poem 2 Poem". By the year of 2007., bassist Igor Čeki is persuaded to go to seaside to find the job. In April of 2007, new bassist is joining the band. It was a band's long time friend, Vlatko Galić. Bend is now starting to create a lot of new stuff and play some new gigs. Check their demos on Myspace and look forward to a full length in the near future.